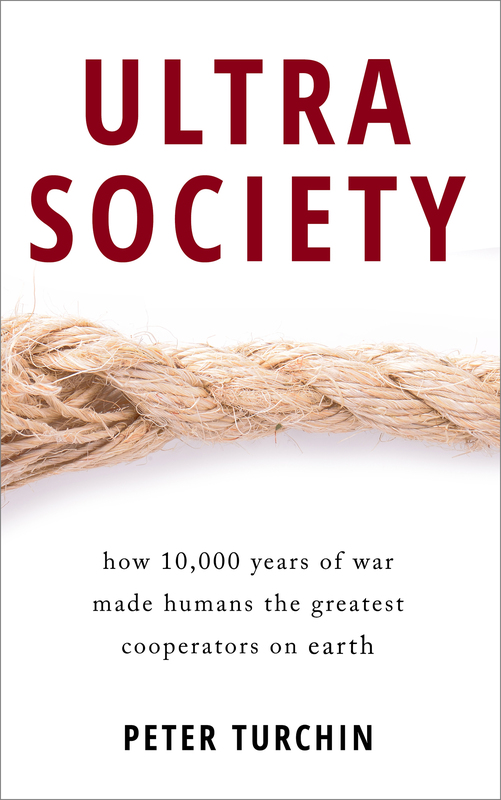 The scale at which humans cooperate expanded greatly over the last 10,000 years—from hundreds of people to hundreds of millions. One popular theory that explains this dramatic increase in the scale and complexity of human societies is known as the Big Gods hypothesis. The basic idea, as Ara Norenzayan explains in his book, is that “watched people are nice people.” In small-scale societies people are constantly watched by kin and kith, who will impose sanctions on them for antisocial behavior, such as free-riding on collective efforts to produce public goods. But who will watch people in large-scale societies in which people need to cooperate with complete strangers? The proponents of the Big God hypothesis have an answer: all-seeing and all-powerful supernatural beings will see when people do wrong and punish them, sometimes in this life (by bringing misfortune on their heads) and sometimes in the afterlife. But as any statistician will tell you, correlation is not causation. In particular, the empirical pattern we see is equally consistent with either the idea that Big Gods gave rise to Big Societies, or that Big Societies gave birth to Big Gods. Which direction does the causal arrow go? Prior analyses using “static” data, in which we see characteristics of a society at a particular point in time cannot easily resolve this question. The Seshat Databank is really a unique resource, because it traces how societies in different parts of the globe change over time. As a result, we can ask a very simple but very important question: which comes first, Big Gods or Big Societies? The global distribution and timing of beliefs in moralizing gods shows that they appear appear in complex societies. The area of each circle is proportional to social complexity of the earliest polity with moralizing gods to occupy the region or the latest precolonial polity for regions without precolonial moralizing gods. 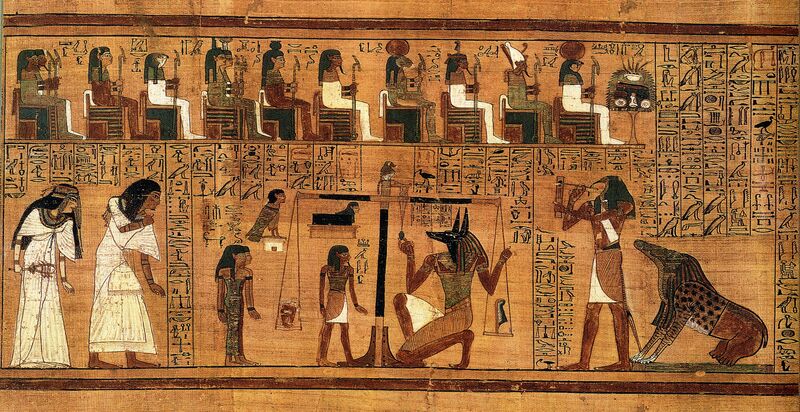 For regions with precolonial moralizing gods, the date of earliest evidence of such beliefs is displayed in thousands of years ago (ka), colored by type of moralizing gods. Whitehouse, François, Savage, […] Turchin. (2019) Nature. However you slice it, the conclusion is that Big Gods do not precede Big Societies. At best (in about half the cases), they appear simultaneously, but in the rest of cases they can trail the transition to Big Society by hundreds, and sometimes even thousands of years. This is not to say that the Big Gods hypothesis is entirely wrong — just one aspect of it, which predicts first Big Gods, then Big Societies. Additional (and as yet unpublished) analyses I’ve done on these data support a feedback loop relationship between Social Scale and presence of Big Gods (BG). There is a very strong causal arrow from Scale to BG, and somewhat weaker feedback from BG to Scale. 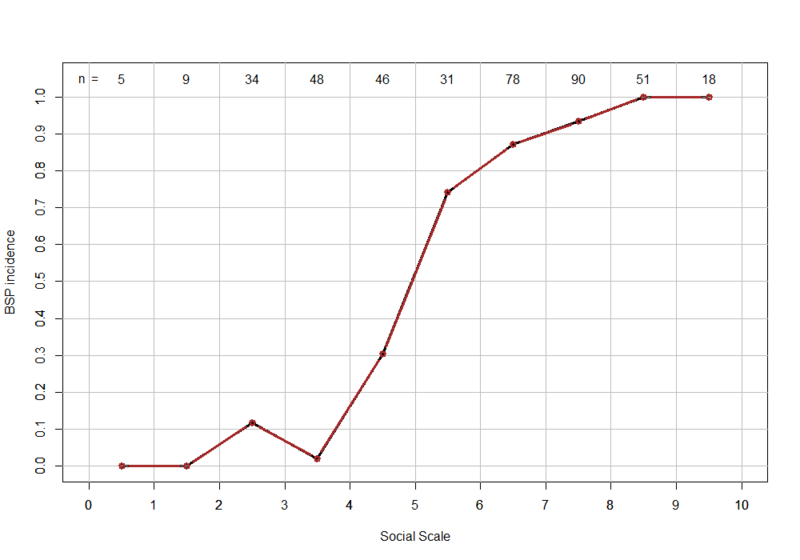 However, the feedback starts operating only once Scale exceeds 5; that is, once societies become large-scale and complex. 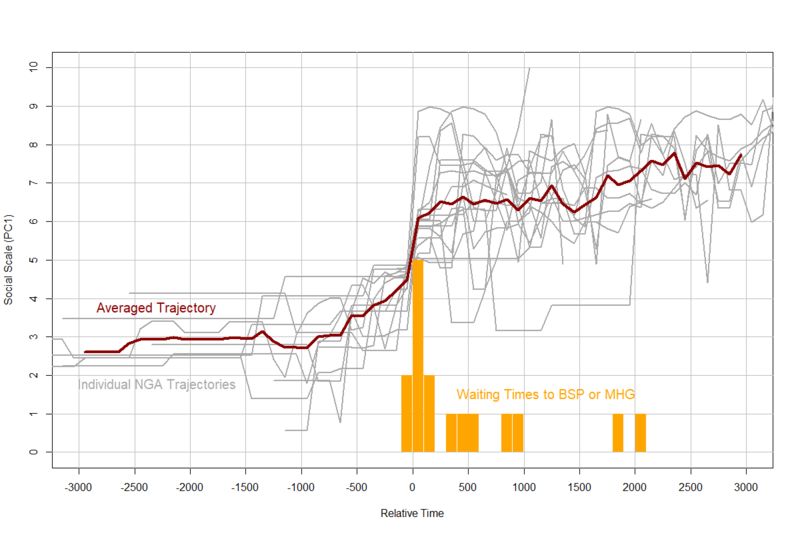 The major implication of this regression result (together with the timing of BG appearance) is that moralizing gods and supernatural punishment are just one, albeit important, of the social technologies that are needed to stabilize large-scale societies when they arise. Other such stabilizing cultural traits include equity institutions that reduce inequality, the common identity provided by world religions that stabilize multiethnic societies, bureaucracy for better administration, and others. Big Societies are highly fragile when they first appear and they need many such institutions to make them more resilient to internal and external shocks. 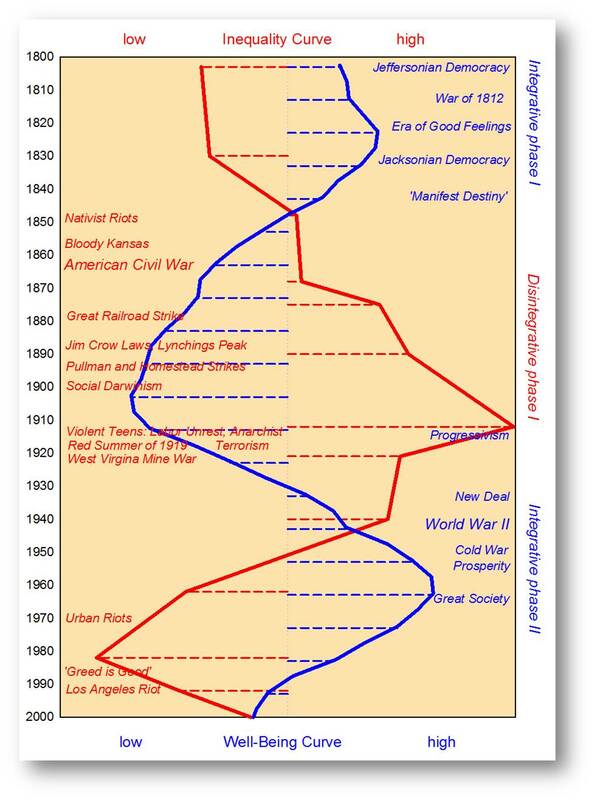 Those Big Societies that didn’t acquire enough stabilizing institutions break apart and are replaced by more cohesive societies. As a result, after thousands of years of cultural evolution we see a near universal presence of such stabilizing cultural characteristics, and Seshat data show that Big Gods is one of the important ones. The polytheistic Roman Empire crumbled when a biggie appeared. And it hardly makes sense to say that medieval Europe was a more complex society. Actually a multiplicity of gods helps to explain the obvious contradictions within a society, while asserting just one deity leads to conclude that it is not very wise, powerful, etc. Or people should be denied understanding (and called”stupid”) which somehow helps building big societies? buddhism played an important role in china, among the middles and lowers, the confucian ethical system supplemented and/or replaced buddhism in the mandarinate, so china fits within the ‘bg’ thesis well enough, although in a rather more sophisticated way than in western societies. Yes, the Buddha lived and taught about 2600 years ago, so just around 600 years BC. Both China and India were already massive societies by then, and religion was huge for at least 3000 years before that, at least in India, and surely also in China as we will learn in the next, we are told. Religion was huge in India before Buddhism but Hinduism isn’t a Big God or Moralizing religion. It reminds me of the story of Hirohito emperor of Japan during and after WWII. The old religious saga of the people is the world is a dragon which when it goes into a cave (perhaps to sleep) it turns out the light, so the whole world is in the dark. If it was not for a wise man (the leader of the world: their emperor), to lure it out of its cave with a copper mirror reflecting the sunlight into its cave, it might never have come out and the world would have been in the dark forever. After studying Darwins evolution theory amongst other things the emperor deceided his people were believing in silly things, so he should inform them about the truth.. But a counceler stopped him from doing so, because it would upset the people and he would lose his position. Holding the artefacts of the story, a sword and chain plus the copper mirror in family posession. So he abandoned the idea. This is an example of a non moralizing religion (although it confirms the position of their moral leader), which still holds society together in a shared worldview. I cannot believe this myth was only thought up after becoming a large society/ but was usefull of course holding it together. So there probably is a selection process involved. I guess it’s more obvious in hindsight that a scale transition requires new ideological glue. Hence the causality direction. Follow-up question. Do we see detail as to how a pantheon of tribal small-Gods was re-purposed to the big-Gods of Empire? Was there consolidation of deities? New God-hierarchies? A clearer division of labour between Gods? You’re talking here of the transition from multi-tribal groupings to archaic despotism, right? Not the subsequent transition into the Axial Age. Actually, we are talking about the next step, beyond the first and very despotic centralized societies. I discuss this in my book Ultrasociety, and we are finally starting to test these ideas empirically. How can we determine whether big gods won because of the ‘large hadron collider effect’ of societies of > 1 million smashing ideas together and finding the big god meme; or because of group selection pressure? Simple ideas attract more funding than complex ones because they are easier to understand. Religions need patronage. There is more patronage available at higher social scales as well as more selection for simple ideas. The fatherly one big god may also have the additional advantage of being more attractive to women, who were very influential in religious patronage and elite conversions. Did big god people really eliminate the others or do we have a situation where they just found a better idea and did better creating pressures to force other societies to adopt similar ideas. This would be group pressure but not selection as the people aren’t necessarily eliminated in this process, they just adopted a new religion before they get eliminated. Sure, but what type of competition? I think Big Gods won in the market place of ideas and in the economy. I’m not sure they needed to win in the military sphere, so this may not be a case of group selection. For that you need elimination through warfare. Take the pagan Vladimir the Great of Kievan Rus’: he converted to Christianity voluntarily due to the influence of a Byzantine princess that he had married. His pagan society became Christian without losing in warfare and being eliminated. A pagan state was not eliminated it was magically converted. I suspect that is the norm, especially in the zone of highest imperial density, and elimination of ‘Little God’ states through warfare is the exception. In Africa, the Mali Empire became Islamic after a coup d’etat. It was trending Islamic before but a turning point occurs and the mainly ‘Little Gods’ state is suddenly transformed into one which worships a ‘Big God’ religion. The Mali Empire wasn’t eliminated in the process of that happening. Seems to me the same occurs with Christianity in Roman Empire and Zoroastrianism in Persia. The elite get converted and they turn the society’s allegiance without any warfare and elimination process. Ignore the last rambling sentence. It was the first thing I wrote, then I forgot to delete it as I kept on typing above it. The reliance of big-god religions on the rhetoric of feudalism is more evidence that powerful warrior/lawgivers came before big gods. The big god has the advantage over the warrior/lawgiver of a longer life span, though the laws promulgated by a renowned but mortal leader can last centuries. In a large state, it is normal for the average person never to see the warrior/lawgiver in person, though he would often see his local officials. Contact with priests but not with their boss would seem normal for most people. The large state makes the invisible god plausible. Direct contact with the imaginary boss, by-passing the priests, became the spiritual fashion in northern Europe where people were more literate and better controlled by the written word than by other evidence from the natural world. In this age are secular moralities (identity power issues, human and gender rights etc) pursued with a moralising religious zeal in the West especially, taking the place of BGs in the more traditional religious sense? If that is the case should it be welcomed, rejected or domesticated? Well, in the US, the Constitution functions as a MHG for elites, even though different elites defend different aspects of it. It seems to me that there is an interesting political-philosophic question buried in this paper (which I have not read in full) which deserves more attention. Simply it is the similarities and differences between secular and religious (in the sense of an assumed divine origin) moralities both at the individual em-cog level and in terms of political-collective function.Eg. : does it hold out the prospect of greater adaptability while still offering a moral core to individual and collective life? If so, how are we to extract the benefits while mitigating against the disadvantages? Is that already happening through the normal political process and does secularity offer an advantage over conventional religion in this respect? While worthy of investigation, the examples of communist societies suggest that secularity is not, in any case, any guarantee of an advantage over religion. More broadly, religions are subject to a selection process. To take an extreme example, religions like those of the Shakers which advocate celibacy, or those religions which abjure conversion, are less likely to persist in large numbers for an extended time. Thus, old religions have a certain degree of filtering already applied to them, by natural selection. However, secular equivalents are, perhaps inevitably, more willing to change, and less able to resist alteration. This means any given secular credo is relatively new, compared to (for example) Christianity when Constantine adopted it, or Buddhism when Ashoka adopted it, which in both cases were generations old. This doesn’t mean secular belief systems could never become suitable for holding together large-scale societies, but they have less of a guarantee of minimum viability from natural selection, and will have to somehow compensate via “intelligent design”. This would require that people have a good understanding of how people fit together at scale. Which, up to now, is a problematic assumption. But, who knows, Seshat might change that! Very briefly. One would have thought that the emotional charge carried by any doctrine is in a sense inversely proportional to its empirical foundations. It seems to me that the human brain will need to be re-engineered to find sufficient emotional fuel in an empirically based secular doctrine subject to evidence-based modification to compete with religious faith-based belief systems. 1. Mind reading, especially the ability to detect intent to cheat. 2. Being seriously bothered by human wrong-doing. 3. Being able and determined to punish wrong-doers. If we are to believe media reports of the mass surveillance program on its way to being implemented in China, it fulfils no. 2 and 3. It also seems to display a unity of purpose and intent (even though multiple state agencies and some private companies are involved). The mind-reading part is not there, but then one would think that the ability to collect and analyse extremely detailed behavioural data on hundreds of millions of citizens probably does the job nearly as well. Yes, a totalitarian state, something like China during the Cultural Revolution, or the USSR under Stalin, would come close to an all-seeing, all-powerful MHG. But the big difference is, who will control the rulers and the elites? Without another moralizing watcher above them, what will prevent them from acting in prosocial, rather than selfish ways? Although with the ongoing development of AI, there is a possibility that behavior modifying algorithms could pass a tipping point where even the designers/rulers themselves could be subject to the new all-seeing, all-powerful digitized MHG. Unfortunately, such a dystopian scenario would likely ossify human creativity and create a digital enslavement that could be extremely difficult to break free from. I believe this is one reason why Elon Musk, Sam Harris and others have been so vigilant in sounding the alarm on general AI. We are in a dilemma. The US intel community works with the surveillance Capitalists (Google, Facebook, etc) and they are all very interested in always increasing surveillance as well as behavior modification (just like every other intel community). Putin stated a couple years ago that we are in the midst of an AI arms race, and that the winner will likely rule the world. The two leaders in the race are the US/Silicon Valley and China. Machine learning/AI learns best with the more data it can process, and with the greatest variety of data. So we have powerful forces pushing for the complete digitization of human life and experience, the complete surveillance and capture of that digitization, and experiments intended to shape human life and behavior. There appears to be a strange historical convergence presently occurring, with both the West (driven by trans-national corporations and the Davos Men) and China moving towards a world with behavior modifying algorithms and widespread censorship built into a networked financial system. Perhaps the only way to hold together massive societies on the scale of modern China or the globalist dream of a de facto one world government is through such digitalized coercion. The strongest Moral High God is the one who can instantly punish transgressions, or not even allow such trangressions to occur in the first place. Defy some aspect of the current elite orthodoxy? You don’t get a chance to “pay” or “not pay” the fine. The fine is directly deducted from your bank account without consent. This recently happened in 2019 to Count Dankula/Mark Meechan in Scotland, who was originally arrested for making a non-politically correct joke. This comment belongs before the invention of Bitcoin and should stay there. Law systems already include blockchain type of prevalences regarding who gets the money first, so the blockchain system itself cannot start running a life on its own in theory, without potentailly conflicting it. Unless you predict a cyberwar in the field. Like you, I hope that decentralized currencies truly take hold, but realistically speaking we aren’t close. Can you pay your rent with Bitcoin? How about your car insurance? Groceries? School tuition? Here are a few of the latest victims of the new McCarthyism. Here’s an example of Facebook conducting one of it’s IRB-free experiments from Shoshanna Zuboff’s new book “The Age of Surveillance Capitalism”. And given the close relationship between the Intel Community and Google/Amazon/FB, I don’t expect meaningful reform. Ryan, decentralized currencies are already here and it’s at the stage where you can buy anything with Bitcoin – Starbucks will soon accept BTC for coffee! But that’s a gimmick – I don’t think paper currency will be eliminated. It’s not Bitcoin’s role to directly pay for trivial items, though, like with gold, you can if you really want to. Paper notes (or the plastic it now is here) and metal coinage have the most functional value. They should stay around. The point with Bitcoin is that the head of state can no longer directly tax your wealth or print his own money to eliminate your wealth and his retain power. If your bog-standard socialist lunatic tries that the citizens will put their savings into Bitcoin and they don’t become poorer any more; the socialist lunatic only makes himself weaker, because he printed pretend money nobody believes in anymore rather than Bitcoin. The world still believes in Bitcoin many Venezuelans bought to protect themselves against Maduro, and as a result they have had no reduction in effective purchasing power even as the cost of 1 dollar rose to 3300 bolivars. These must be powerful Venezuelans now because they can potentially buy weapons on the foreign market. As the infrastructure of buying things with BTC improves the greater the deterrent against money printing. Bitcoin is best thought of as the universal currency of power. You can buy anything with it, but it’s not even there for a ‘rainy day’ so you won’t, it’s an economic nuclear weapon best employed as a threat against tyrants. Accumulate BTC as you accumulate power, because the more you have, the more flexibility you have, and conversely the less power they have and the less they can do. Somewhat depending on definition, there are high moralizing gods in a lot of Native American societies, particularly on the Columbian Plateau and in northwest California. There are multiple animal powers, but one overarching high Power who sets the moral agenda. Very small, seminomadic societies. The consensus at the workshop we held on this was that there are no MHGs anywhere in the Americas. There are more limited spirits that could do some monitoring and punishment, but not fully developed MHGs. 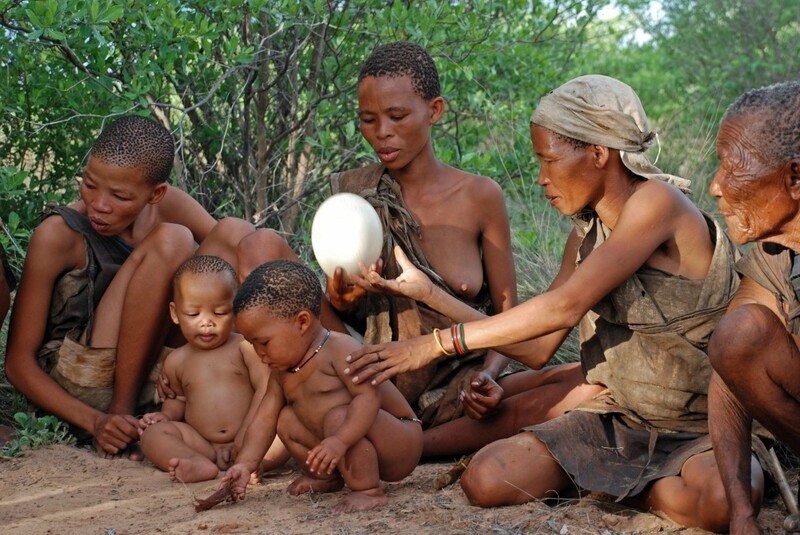 I am not the person to ask about it, though, as I don’t know a lot about small scale societies. This is terrific stuff. It would seem that optimal social control would occur under monotheism and a single moralizing god than under polytheism with multiple, moralizing gods. A political and/or religious hierarchies would find it easier to consolidate and perpetuate its power when there’s only a single narrative to which all subjects must adhere to. It would be interesting to know the purpose of different kinds of story lines in Big God religions. Some story lines would presumably reinforce the authority of political and/or religious hierarchies. Others would reinforce social norms. The notion that Big Gods were an independent causal factor in the emergence of social complexity seems to be a manifestation of the notion that individual psychology generates society, and society changes as it changes. I suppose the model is something like the unit cell of an ionic compound determining the general structure of the crystal. The irregularities of interfaces with the exterior of the crystal and the flaws in crystal formation would be like the effects of history, or something. It’s nice I suppose to have a hypothesis/test/conclusion in the neat little Popperesque format, to satisfy people who insist the only valid scientific methods are modeled on the experimental sciences. 1) Constantine caused his empire to convert to Christianity several centuries after it had reached a high complexity, and at least in part because he was experiencing problems keeping it together and cooperative, and thought a single (Big God) religion would help with that. 2) Ashoka got his empire first, and then afterwards decided that Buddhism was the religion for him (and his subjects). He didn’t become Buddhist first, then go out and conquer an empire (as best we can tell from the disputed history). It makes sense that you would need to get big first, see the problem, and then either crumble or else embrace a religion that helps with the problems of being big. Yes, Greece and Rome held out for a long time before abandoning polytheism. The Indian subcontinent seems frozen in a dangerous half-way situation. The evidence is pointing to “the big god versus the little gods” as a side-show in the evolution of civilisation. Greece and Rome held onto polytheism because there was already widespread literacy during the polytheist period. People like Gibbon thought of the rise of Christianity as part of the process of decline; of ancient civilisation being overwhelmed by largely illiterate and intolerant barbarism. According to him, well informed, high-status Romans participated in religious ritual (of both kinds), aware to varying extents that it was a bit of a fraud that kept the masses docile. Literacy slows down cultural evolution (variation with time), just is it flattens out geographic cultural variation. We are pretty close to the definition of empire here. Whether the fluid régime of Gengis Kahn and his descendants, galloping all over Asia, qualifies as an empire is debatable. A literate culture has the advantage of being able to hold on tenaciously to useful ideas, but it can be tragically difficult to purge it of silly ones, and to get it to adopt useful new ones. The experimental method of science tries to open up all cultures to good new ideas by exhorting people to seek, trust, and publish evidence other than the written word of the past. I would take Gibbon’s side here, for polytheism as well as monotheism. 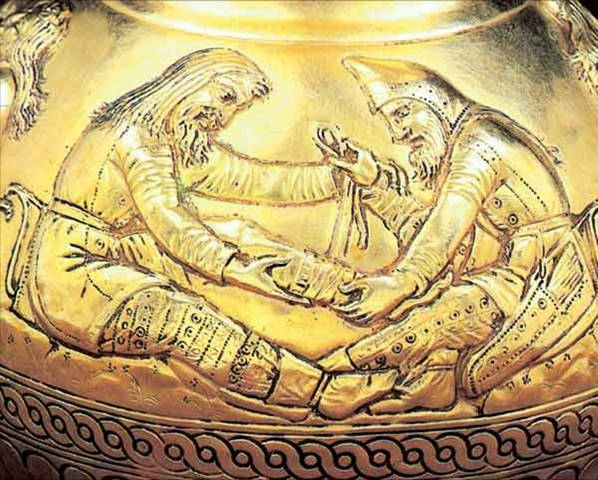 Competent leaders in ancient and modern times have always respected laws that worked by encouraging cooperation, and have been keen to understand the mechanisms by which they achieved such a result. Religion takes root only among those left gullible by inadequate education. A culture carrying too much fraud is highly susceptible to fundamentally insoluble “my fraud is better than yours” conflict. Western Individualism, incorporating the concept of “the will of the people” is another fraud that is now ending in insoluble “my interest versus yours” conflict. Uh, all opinions about the desirability of religion aside, clearly there are non-gullible people, with plenty of education, who become religious. C.S.Lewis was not plagued by “inadequate education”, unless you redefine “inadequate education” to mean “not enough to make you secular”, in which case that becomes a tautology. More generally, large parts of American society are both above-median in education level, and also religious. You may hold them to be mistaken, but a lack of education is not a trait I find closely associated enough with them to say that it “only” finds root there. A sure sign that we are gullible and inadequately educated is when we lay claim to experience other than of the natural world. Too much cloistered study and not enough field and experimental work can lead us into that error. Secular education that glorifies the individual above his culture is turning out to be less adequate than a religious one. My guess is that societies with Big Gods won in competition with societies that had “Little Gods” I have just finished reading Persian Fire by Tom Holland in which a society with little gods defeats a society with a big god. You can almost see the Hellenes reconfiguring their pantheon in response to political exigencies. Their reconfigurable pantheon left them with a reconfigurable polity and a reconfigurable military which was more capable of adapting to the external threat posed by the big god Empire of Persia. Rome had a little gods pantheon with one deity, Mars, first among equals, subject to the authority of an elected big-god-man, Caesar, taking idolatry to a completely new place, until falling to the subversive force of a non-state society worshipping a different type of big-god man with a postulated special relationship to a big god who had all of the characteristics of a businessman with contractual ties and mutual obligations with his worshippers evidenced by writings. Here I digress. I think the Hellenes vs the Persians provides a good counter-example. It is the latter: big societies create big gods as a result and the actual reason is natural physics. In general there are two main aspects in the construction: the first one is the question what is the reason for existence and how should we interpret it, because the behavioral patterns we create ourselves, possessing over a free will, will create their own consequences, so you better understand the source of the intention. The second one is, there are practical aspects in everyday behavior, foretelling it is better to do some things and let go doing unproductive things. The two combined create a religion and the source intention is given a name, like Buda, Jaweh, Allah or just God. It hinges between being a personality/ or having the same personal meaning fot everyone, like in correlation gets equal to cause. They are the inverted part of the same dynamic. Why it happens in correlation with large societies, is because (future) time is shared within the group multi more frequently than in smaller groups, so it emerges in self importance: it creates a character, which at the same time can be shared by language within the group, because there is a causality between larger groups depending on the use of language to organize themselves. They will get better at it. So, the paradox is the larger groups get, the less immediate observation of everyone it will create/ the stronger the dominators within their group behavioral pattern gets to express themselves, the less reason to be able to deny them any longer. It defines itself, as an emerging consciousness of itself, because it IS a group behavioral pattern over time. Next to that the stage of its evolutionary momentum creates a definition of what could be perceived as reality/ in combintation with what people might be inclined to think first: like how do we cross the line of death. The disapearance of big religions being replaced by atheism however does not mean there is no force trailing belief set anymore, since now money has become our god and is based on superstition just as any other big religion could have been. Because it is a false natural physical definition of reality. The evolutionary stage we are in now, searching for new definition. Peter, I’m a little skeptical that the direct psychological impact of MHG is very strong. I’d test a more sociological hypothesis: MHGs are loosely correlated with the emergence of elite dominated priestly bureaucracies. The priesthood’s promotion of a MHG ideology will have some direct psychological impact on more credulous people, but at least as important priests will act as agents of social control on the village scale. Those tempted to riot and rebel face a local priest with his ear to the ground and a coterie of believers who might report trouble-makers to the priest. The priests’ reactions to disbelief may function as more or less veiled warnings or threats. Even if you don’t believe in the MHG you may well take the threat seriously. The reports of priests will mobilize secular coercive authority as necessary. At the elite level, higher level religious functionaries might collect information on heretics whose deviant ideologies might form the ideological basis for rebellion in the future. The priests stationed at a recently conquered province may find the acceptance of their ministry is a good index of the loyalty of the new peoples and their elites. Some pagan priesthoods might serve some of these sociological functions without having a MHG (Rome and the Alexanderian Greeks before Christianity? ), and some MHG religions might lack a state sponsored priesthood and play only a local social control role. That MHG served by priesthoods usually follow rather than precede the origin of a state is consistent with this hypothesis. It takes a state to organize a bureaucracy pretty much by definition. A MHG ideology is a neat reflection of often highly centralized early states, perhaps leading state religious functionaries to craft such ideologies or co-opt existing ones. Hmm, this is interesting. It would seem to fit with Harvey’s idea of the importance of doctrinal religion, which requires a hierarchy of priests (and a large class of religious specialists). In Republican Rome priests generally were not specialists (Julius Caesar was the chief priest, in addition to everything else he did), so they could not be good monitors/enforcers. But going back to the direct psychological impact, there are lots of studies by Joe’s group that seem to support it. I would be curious to know why you are skeptical. Excellent paper, I enjoyed reading it, congratulations! But, to play Devil’s advocate, can the result be an artifact of uneven data availability? What if the actual sequence is like this: emergence of complex society -> development of writing and large temples -> better historical / archaeological evidence of religious beliefs? Thanks, Vladimir. The empirical issue is the key, and I am not saying that this article is the last word. There are several critiques in progress to which we will be responding, probably in Nature, so stay tuned. Yes sure. The large societies did not invent religion as such; even smaller hunter gatherer groups like the indians had supernatural religious belief systems/ but the bigger the hierarchies get, the more profound and defined their religions become; also expressed in buildings, uniforms, tasks and rituals. So in effect it also gets better registered for future generations, leading to the conclusion what they did. The paradox is, it is not the question whether large societies needed big religion for survival/ but they where big religion hierarchies in their survival, expressing themselves. In the end though the technicality of it is less interesting than what it was about in content. Like the Greek used a set of multi gods next to their still very modern philosophy as opposed to a single god religion and the Chinese also based themselves on parallel levels of different understanding systems representing hierarchy itself like almost an abstract scape. My take of it is the evolution travelled east to west; in sync with the sun; and landed in a more self aware individual perception (opportunity) of what the god wanted first in Judea and later in Europe/ opposed to the imposed quality of predestination it concluded before, which also played a central role in the dicussion of the reformation between south and northern Europe. Hmm. Buddhism arose in India long after complex civilization did there and even now, Many-little-god Hinduism dominates the Subcontinent while Buddhism has a tiny number of adherents there. The many-little-god Romans also had a dominant complex civilization for a long time. Congratulations! A beautiful result definitely worthy of a Nature paper! So much work and years of work finally coming together into something powerfully convincing. I’m very happy for you! I’ve a theory I wonder if you’d care to explore. It regards Capitalism vs Socialism with regards to good and services. That when a win:win relationship exists open markets are best. But when a win:lose or lose:win relationship exists — only a social solution can work (to benefit society). Capitalism works when both parties — the buyer and the seller — benefit from the goods or services rendered. The corporation that produces the safest, longest lasting, most feature rich and cheapest vehicle will benefit as more of those will be sold due to the public also benefiting from just such a product. But, when the relationship between buyers and sellers becomes a win:lose, or a lose:win, capitalism is the wrong way to provide goods or services. The easiest industry to use as an example is the pharmaceutical sector. What would the corporations Novo Nordisk, Eli Lilly, Sanofi LOVE nothing more? That for EVERY HUMAN to contract diabetes. Those companies make insulin. One can run through almost any product or service and determine: win:win or win:lose/lose:win regarding how capitalism impacts society. The choices become obvious. A workaround would be a surveillance society in which the people are watched by information systems. That’s dystopian, but might be stable. Not a bad analysis, however reality is the internet primarily is a self communicating organism/ not a top down hierarchy controling everything, because it can watch a degree of similarity by using algorithms. It does not represent the organism itself. So defining its function based on this perception (the common result of vertical energy information, which is common for incomplete misinformation) is a scientific mistake. It sooner is the other way around: the top hierarchy using or maintaining incomplete reality conceptions itself, which will be demasked by the organism. > A workaround would be a surveillance society in which the people are watched by information systems. That’s dystopian, but might be stable. Mark ZorkerBorg would agree. No doubt he’s dreaming up such a system as we speak. I wonder if the gamification of society and its trysts and cabals might somehow be applicable. WOW or LindenLabs 2ndLife — but I suppose that’s like your information surveillance — a master program to rule them all.